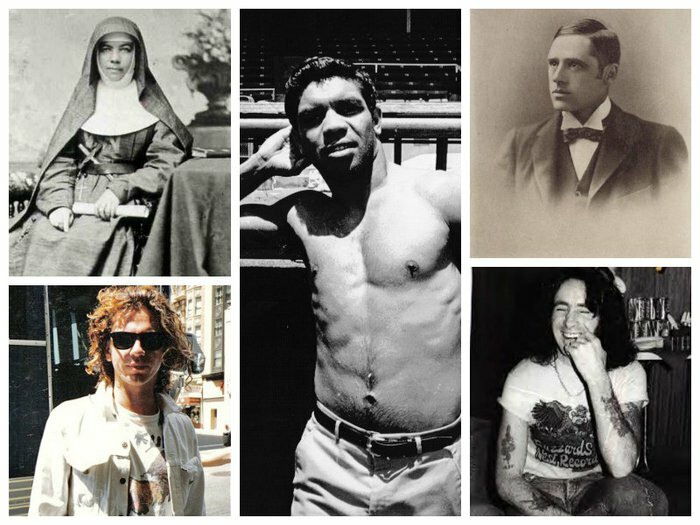 From the nation’s first saint, to the legendary frontman who sang Highway to Hell, fans and pilgrims alike pay tribute at the famous graves of these 10 remarkable Australians. 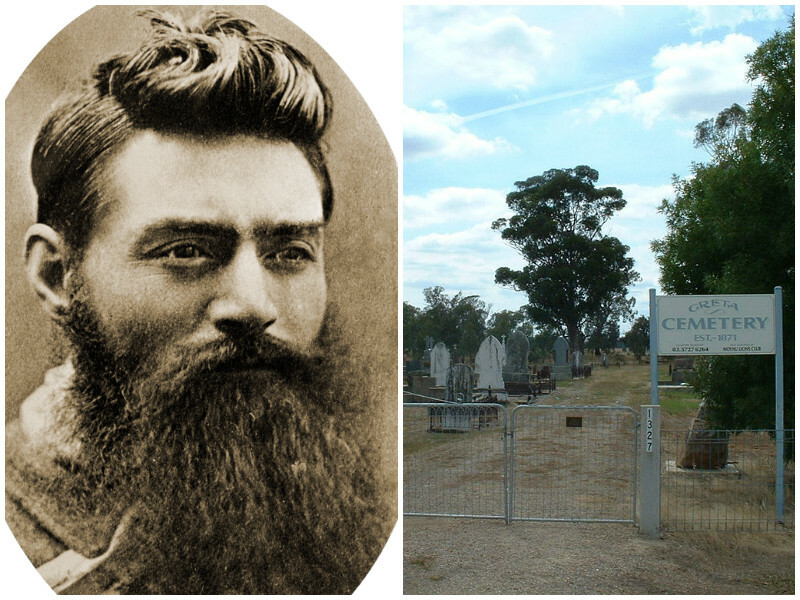 Bushranger Ned Kelly was finally laid to rest in a family plot at Greta Cemetery in 2013, more than 130 years after his execution and burial at Melbourne jail. 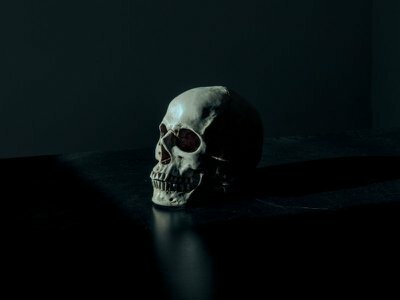 Following DNA tests to identify his remains, he was reinterred in an unmarked plot next to his mother Ellen. Rural Greta is not far from Glenrowan in north east Victoria, where Kelly held his final shoot out with the police. "I'm a proud Australian, a very, very proud Australian." Fearless Crocodile Hunter Steve Irwin was larger than life, but his funeral was a quiet family occasion, following his tragic death whilst diving with stingrays in 2006. 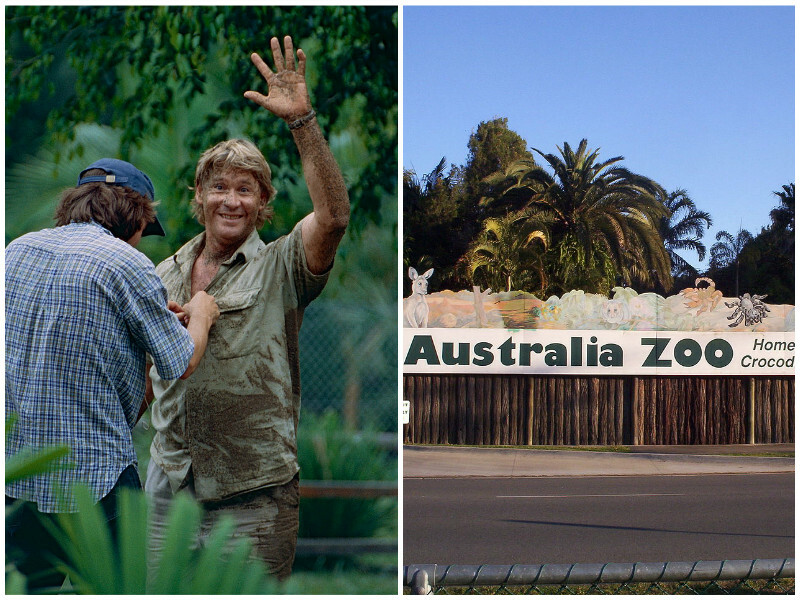 It’s believed he was laid to rest in a peaceful private area of his beloved Australia Zoo in Queensland, where his memory and legacy live on. Steve's passion for the conservation of our wildlife inspired fans across the world and he famously said: "I have no fear of losing my life - if I have to save a koala or a crocodile or a kangaroo or a snake, mate, I will save it." Activist and land rights hero Eddie Mabo’s crusade and 18-year court battle for justice led to a High Court ruling that Aboriginal people were the rightful custodians of land that had been termed Terra Nullius (‘belonging to no-one’) by early white settlers. 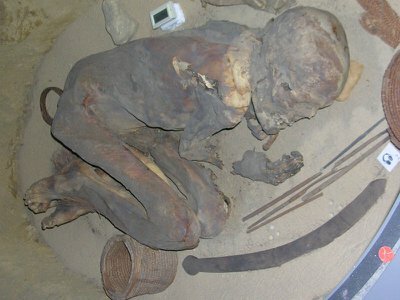 After his grave in Townsville, Queensland was desecrated, he was returned to his birthplace, Mer (Murray Island) and given a burial befitting royalty. 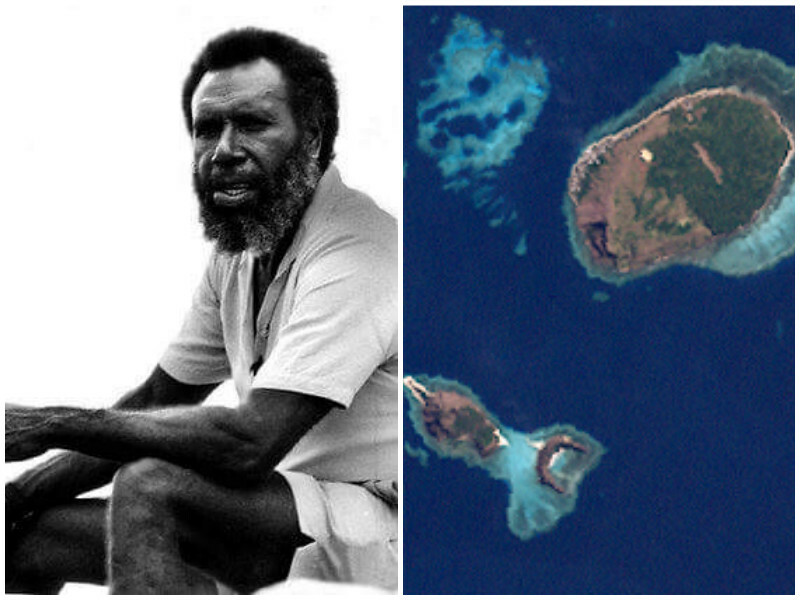 Mabo Day is now celebrated in the Torres Strait Islands on June 3 every year. 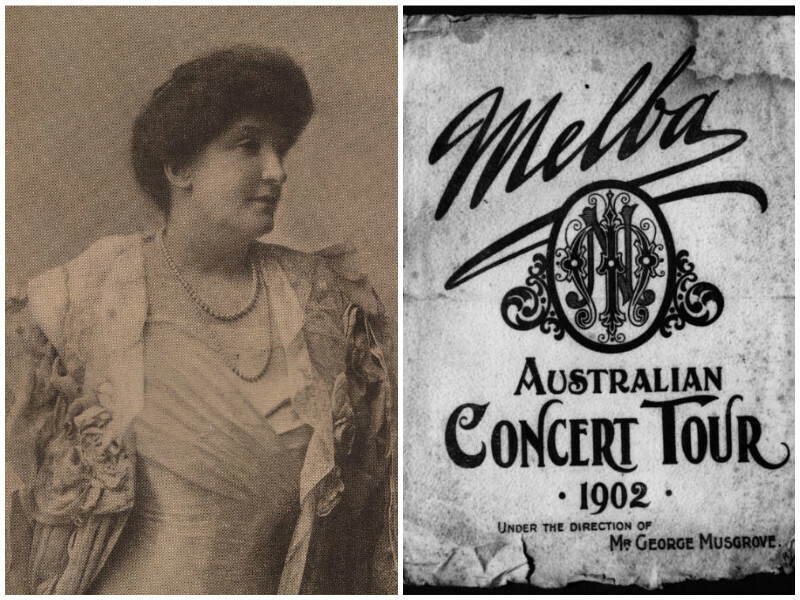 Born Helen Porter Mitchell, legendary soprano Dame Nellie Melba was the most famous diva of her day, performing for the crowned heads of Europe and triumphing time and time again in operas staged in Melbourne, Sydney, New York and London. Her funeral procession brought traffic to a standstill and crowds gathered to pay their respects as the cortege made its way to her final resting place at Lilydale Cemetery, Melbourne. 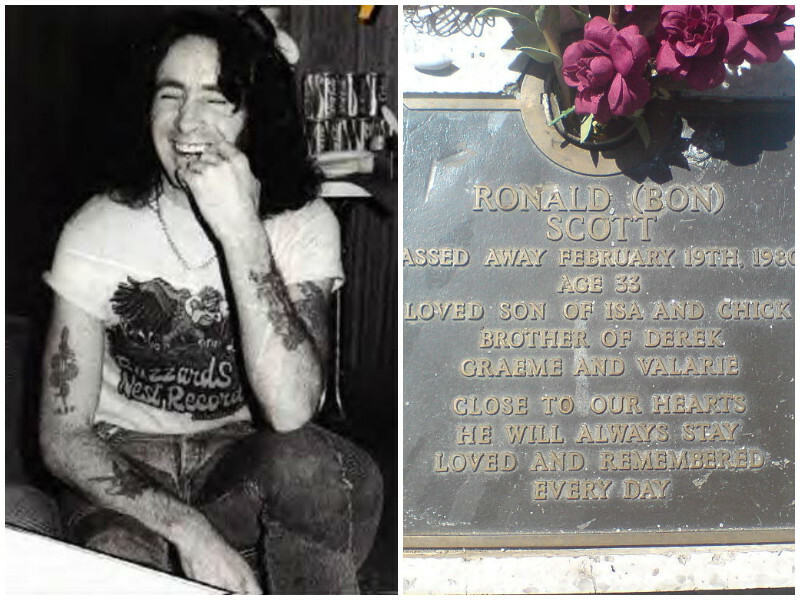 AC/DC frontman Ronald 'Bon' Scott was riding high on the success of Highway to Hell and staying in London when he was found passed out in his car and later declared dead of alcohol poisoning. His ashes were taken to Fremantle Cemetery, WA, where his final resting place is among Australia’s most visited celebrity gravestones. It also inspired 2004 film Thunderstruck, about four AC/DC fans’ pilgrimage to scatter their friend’s ashes next to the rocker’s grave. 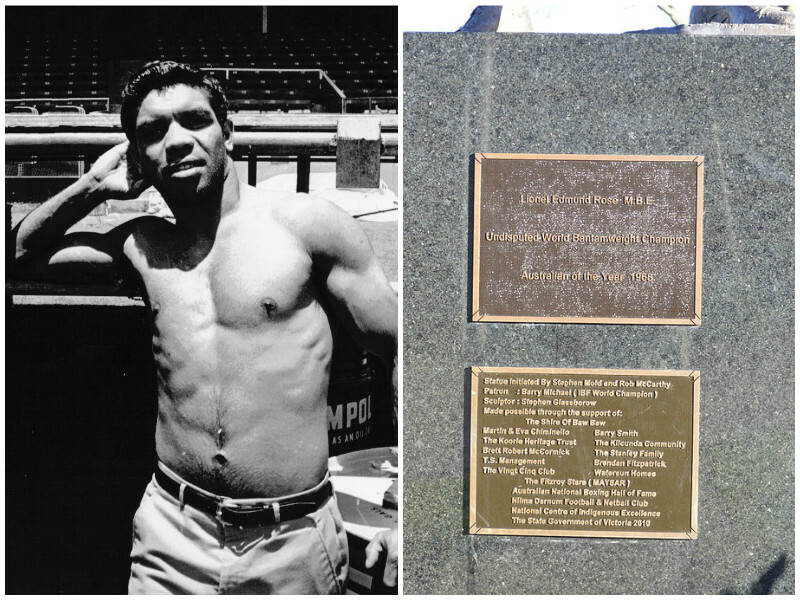 Lionel Rose was aged just 19 in 1968 when he became a national hero and the first indigenous Australian to be crowned boxing’s world Bantamweight champion. Victoria paid him due honour with state funeral after he died at home in Warragul in 2011. He was laid to rest in his hometown’s cemetery and a life size bronze statue of the champ was also commissioned to commemorate him. 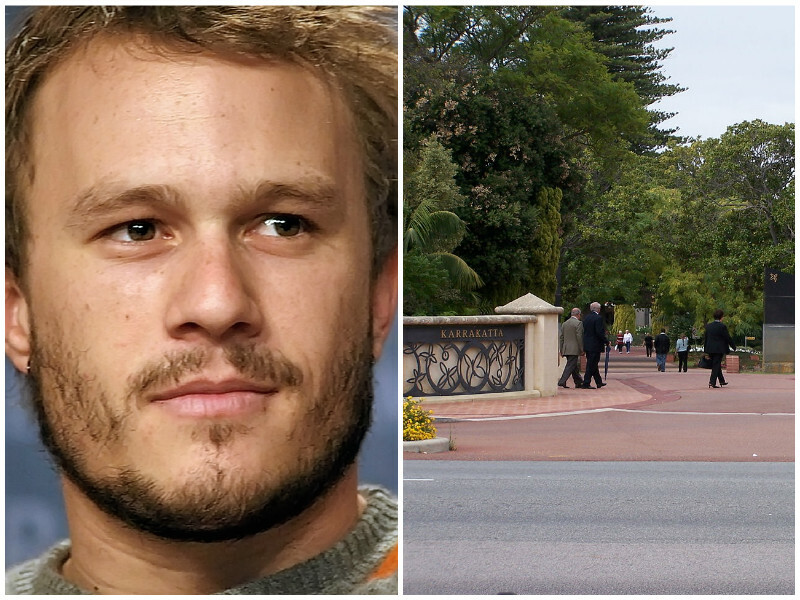 Screen idol Heath Ledger’s death in New York in 2008 was a bolt from the blue, at time when his career had gone stellar. The actor won numerous posthumous awards, including a Golden Globe for his role as The Joker in the Dark Knight. Following his quiet funeral at Fremantle, mourners celebrate his life at a reception held at Cottesloe Beach. Heath’s ashes were scattered at the family plot in Karakatta cemetery, Perth. 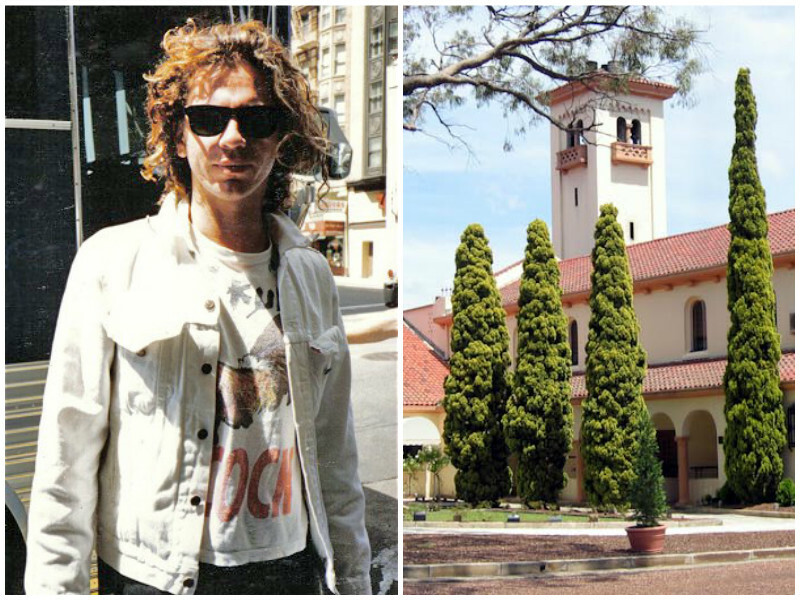 INXS frontman Michael Hutchence’s shock death in a Sydney hotel room made headlines around the world. 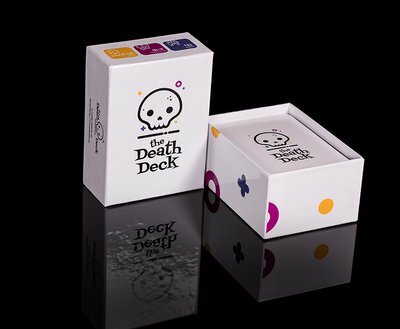 It’s said his ashes were divided into three, between the late Paula Yates – mother of his daughter Tiger Lily – Michael’s mum Patricia, who interred them in a grave in the Hollywood Hills, and his dad Kelland who scattered them in Sydney Harbour. Fans still pay homage to the star at his memorial in Northern Suburbs Memorial Park, at North Ryde in Sydney. Balladeer Andrew ‘Banjo’ Paterson became a household name when he penned The Man From Snowy River and famed the world over for Waltzing Matilda, said to have been inspired by the shooting of swagman Samuel "Frenchy" Hoffmeister. A journalist who later turned his hand to broadcasting, Banjo died of a heart attack at the age of 75 and was buried at Northern Suburbs Memorial Park. 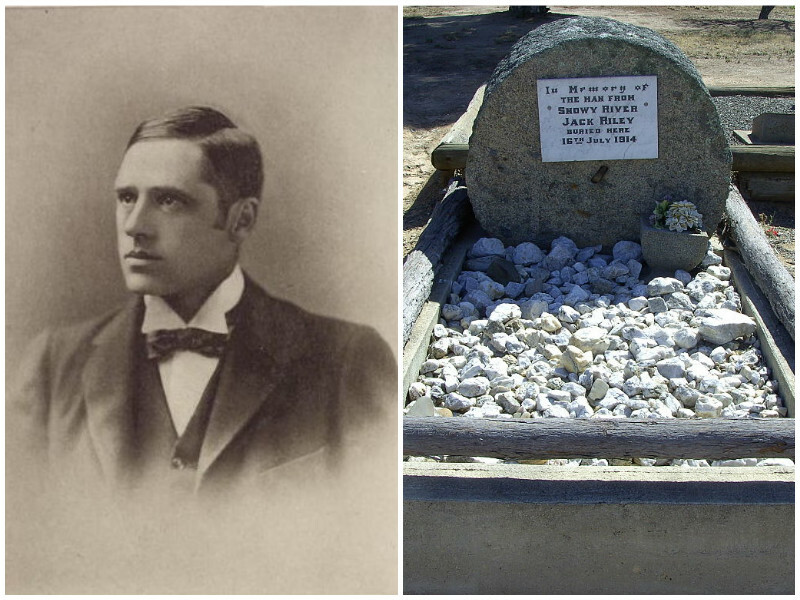 The grave of horseman Jack Riley in Victoria's Corryong cemetery, is also a talking point. He's man whose real-life exploits are said to have inspired Banjo's doughty Man from Snowy River. Australia’s first saint, St Mary of the Cross, was canonised by Pope Benedict in 2010. Born in Fitzroy, Melbourne, Mary Mackillop worked as a governess before becoming a nun and champion of poor and vulnerable children. 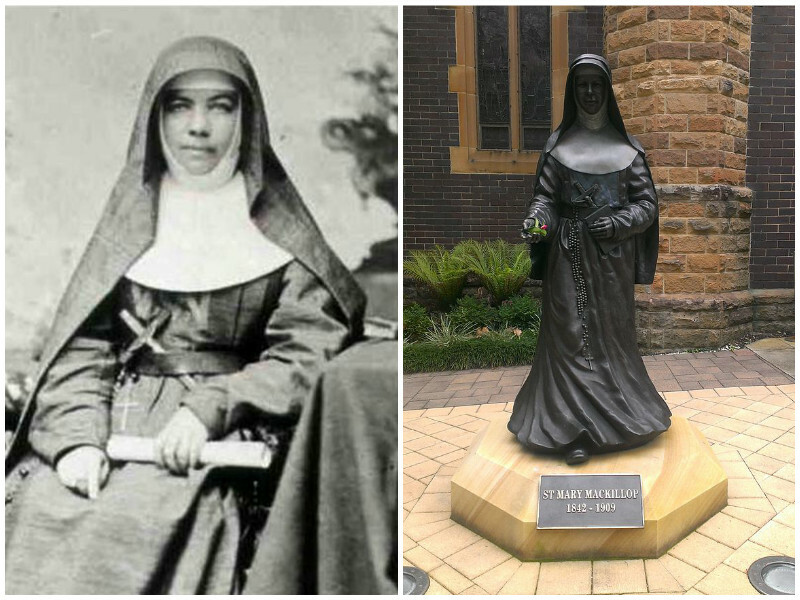 Five years after her death at her Sydney convent, her remains were exhumed from nearby Gore Hill Cemetery and buried with ceremony in a memorial chapel now known as Mary MacKillop Place, which has become a place of pilgrimage and contemplation.